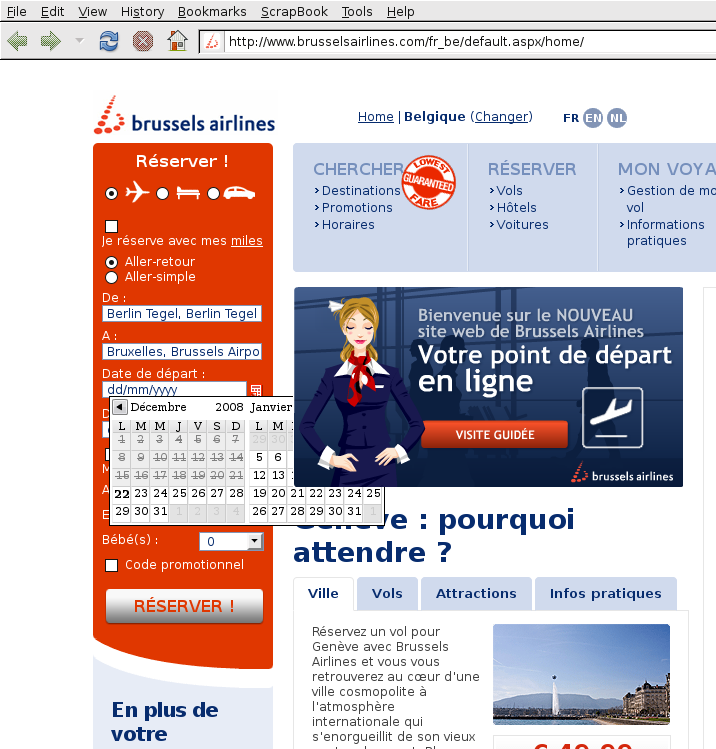 Brussels Airlines Is Loosing Customers With A Buggy Website - .[ZooBaB]. When I tried to find out where to complain about this bug on their website, I did not found any email address to write to. They had a webform to send an email, but no functionality to attach a picture. So I sent an email to moc.senilriaslessurb|ofni#moc.senilriaslessurb|ofni and moc.senilriaslessurb|retsambew#moc.senilriaslessurb|retsambew. Let's see how long they take to solve the bug. Furthermore, their frontpage does not seem to be very W3C compliant (120 Errors, 47 warning(s)).